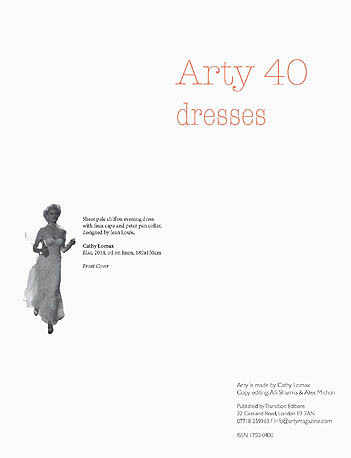 Many of the contributions to this issue of Arty focus on dresses in films. 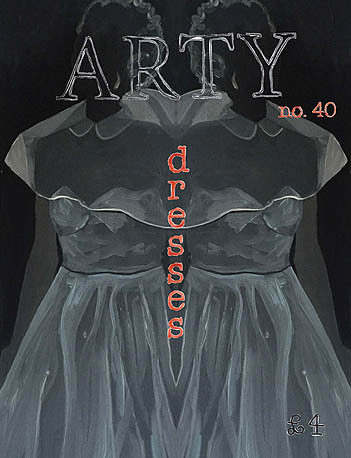 Our front cover features the dreamy chiffon dress Rita Hayworth wears in The Lady From Shanghai, on the back cover is Patty Duke, dancing in a stunning white pleated dress from Valley of the Dolls (1967). Inside the issue we have a paper-cut flamenco dress from Lotte Reiniger’s Carmen (1933), Judy Garland’s homespun, tasselled outfit from Meet Me in St Louis (1944), Natalie Wood’s aqua blue sweetheart line dress from Marjorie Morningstar (1958), Audrey Hepburn’s black and white Cecil Beaton designed frock from My Fair Lady (1964) and the killer red dress Goldie Hawn wears in Death Becomes Her (1992). Although many iconic film costumes go on to influence fashion, Deborah Nadoolman Landis writes that 'Fashion and costume are not synonymous: they are antithetical. They have directly opposing and contradictory purposes. Costumes are never clothes.' Rather she points out costumes are a tool used to tell the story of the movie. Maybe this intrinsic link between clothes and story is why film dresses are so evocative - they have the ability to project us on to the skin of the character that wears them. Elsewhere in the issue we have an haunting moth eaten dress, a life documented through accumulated possessions, an examination into why vomiting has become a regular on-screen activity, a Grease fan fiction that has Sandy as the alter ego of Danny and an ode to shared dresses. 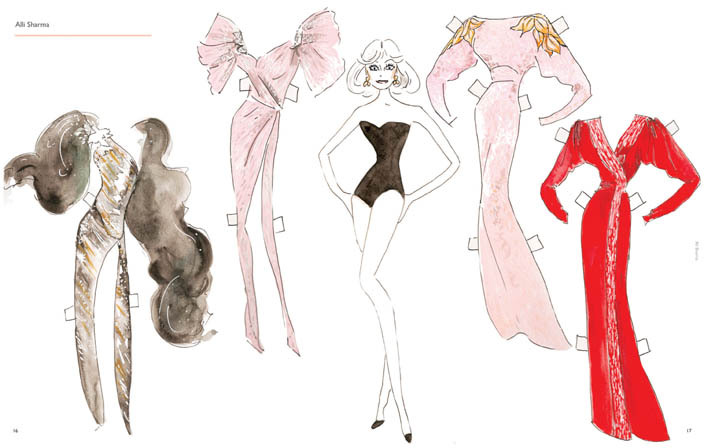 Our centre page spread is a Dynasty cut out paper doll, complete with a fabulous 1980s wardrobe.